Two psychologists who have been introducing children across Scotland to how academic research translates into the media have announced the winners of a new competition based on their work. 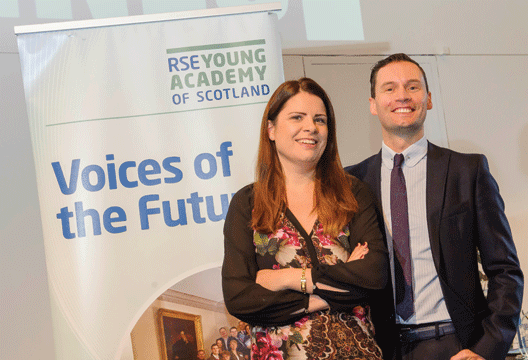 The founder of blog Research the Headlines, Sinead Rhodes, and colleague Alan Gow (Heriot-Watt University) spoke to The Psychologist about their fascinating work improving the critical thinking of the next generation. Dr Rhodes, a press officer for the British Psychological Society until last year and senior lecturer (University of Strathclyde), was inspired to launch the Research the Headlines (http://researchtheheadlines.org) blog in 2013 after encountering a similar NHS website. The blog provides discussions around the way in which research is portrayed in the media and encourages people to better understand how research findings may be represented or highlights research that did not receive the coverage it may have deserved. Thanks to funding from the British Academy, Rhodes and Gow and their colleagues were able to launch the competition aimed at school children in primary years 5 to 7 (ranging in age from about nine to twelve years old) who had taken part in the workshop and undergraduate university students from across Scotland. The younger children were tasked with finding their own example of research in the media, while the undergraduate students had to compare a media report of some recent research in their area with the original published work, highlighting the good and the bad and trying to locate where any inaccuracies might have appeared. The winning primary school class was from St Roch’s Primary and Hearing Impaired School in Glasgow, who turned the recent headline ‘Processed meats do cause cancer – WHO’ into ‘Eating processed meat slightly increases risk of cancer’. Abby Wrathall won the undergraduate prize with her blog entry entitled ‘So, should you wait until Monday to take your child to hospital?’. The University of Edinburgh student explored recent media coverage about whether weekend versus weekday hospital admissions might be associated with poorer outcomes.